Gujarat state-run integrated energy company Gujarat State Petroleum Corporation (GSPC) has asked Adani Gas, an Adani Group subsidiary, to source natural gas from some other sources, a GSPC official said today as per the PTI report. 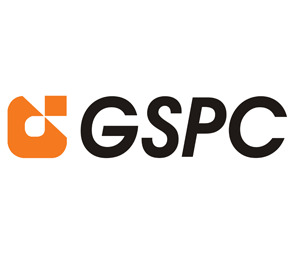 GSPC, is the sole supplier of natural gas to Adani Gas, a city gas distributor (CGD), operating a network of around 57 CNG stations in Ahmedabad and Vadodara, besides having a PNG network for domestic supply here. Adani Gas sources on an average 0.85 million metric standard cubic metre of gas per day from GSPC in order to meet the requirement of its industrial and domestic consumers in the state. “Adani Gas has been asked to source natural gas from other sources as every time they hike the gas price, they blame us for it which puts us in a piquant situation,” a GSPC official told PTI preferring anonymity. However, GSPC will continue to provide natural gas to Adani Gas for the time being, the official said. The company had last hiked the price of CNG by Rs 5 per kg in November last year taking the price of natural gas sold by them to Rs 45.50 per kg. Adani gas, which has gas a distribution network in Faridabad sources natural gas from GAIL too for meeting its consumer demands in that city, a company official said. GSPC, currently depends entirely on imported gas sourced mainly through Petronet LNG, a GoI promoted company, which delivers the gas on a price formula that entails a price increase every month, a GSPC official said. There are seven CGD’s in Gujarat- GSPC Gas Company (GGC), Gujarat Gas Company, Adani Gas, Charotar Gas Sahkari Mandli, Vadodara Municipal Corporation, HPCL (has CNG stations only). HPCL, had hiked the CNG prices in October last year taking its price to over Rs 50 per kg in Gujarat.